Three hundred thousand or more species of fungi exist in the environment. In winter, the number is no less. Mold, also classified as fungi, flourishes under certain ideal conditions. A moisture source, warmth (especially when the heat is switched on) and humidity are all the necessary foodstuffs that mold requires to thrive. Even more unnerving is that mold can survive in harsh environments—making winter a prime time for household mold growth. During wintry weather, homes are often well sealed to keep out the biting chill. At the same time, an impenetrable environment traps moisture and allows humidity levels to spike. These ideal conditions encourage mold growth, unless steps are taken to halt the pesky fungi in their tracks. Adequately insulate. The home’s inside walls, especially in the attic, should be padded with extra insulation. Uninsulated spaces allow condensation droplets to form, increasingly so when the cooler surfaces come in contact with the circulation of heated air. As mentioned, dampness is one of the three nutrient sources mold spores rapidly consume. The US Department of Energy offers recommendations for the proper insulation R-value, which is highly dependent on what sort of climate your home is located in, type of heating system and what part of the home you intend to insulate. Boost ventilation. Well-ventilated spaces are less likely to invite mold colonies. Optimal air circulation thwarts dampness and stagnant air. Install basement fans, for instance, to allow a steady exchange of air. Also safeguard the attic with adequate ventilation. You should set up the dryer and bathroom exhaust fans to vent toward the outdoors—and not to the crawl space. Prepare the crawl space. High humidity levels in the crawl space can spur mold growth. If your home features a crawl space, cover the space’s soil with a vapor barrier, like waterproof polyethylene plastic. Ventilate the crawl space by opening the crawl space vents in winter. The gush of outside air will dry out the crawl space’s existing moisture. Caulk Windows. Windows should be properly sealed to prevent condensation buildup. Caulking seals the gaps between the windows and frames, thwarting excess moisture and deterring mold growth. If you have to wipe down the home’s windows often to remove condensation, consider investing in newer, high-efficiency windows. Set Ideal Humidity Levels. A home’s corner rooms are more exposed to the colder, outside air. When the home’s humidity levels are excessively high in these areas, this nourishing environment is prepped for an outbreak of mold. Prevent an influx of mold by setting the indoor humidity levels to below 60 percent in winter. Optimum humidity levels to thwart mold during the cold season are between 35 and 45 percent. Reposition goods. Books, paintings on canvas, clothes and reams of paper are nutrients for mold spores. If any of these items are stored in a humid location inside your home, like the basement, relocate them to a drier part of the house. When vulnerable possessions like books and paper must be kept in the basement, keep them away from walls and above the floor. Reverse the ceiling fans. Operating ceiling fans in the dead of winter is good practice. The reverse flow of air pulls warm air upward, which then gathers along the ceiling and flows toward the windows and walls. Especially when the fan is circulating overnight, any remnants of condensation along the windows and doors are effectively dried out. When moisture disappears, so does the threat of mold. Invest in a dehumidifier. Consider purchasing a dehumidifier to suction out excess water from moisture-rich places, like the basement. The cooler parts of the basement, like its walls and flooring, attracts moisture. Halt mold growth by running a humidifier in the basement. Sparingly use the humidifier. The humidifier adds moisture to your home. If you must use the humidifier, take steps to hamper mold growth. The water in the humidifier attracts a flurry of mold spores. Change the water daily in the humidifier and clean the unit every few days to reduce the risk of mold growth. Wipe down condensation. While a simple process, wiping down mirrors, windows and water pipes should be a regular activity in winter. Spots like these tend to have frequent moisture buildups in the colder months. Use a towel to wipe away the water droplets as soon as you notice them. Quickly reacting will stop potential invasions of mold. Clean the gutters. Maintaining the home’s exterior is important when thwarting indoor mold growth in the winter season. 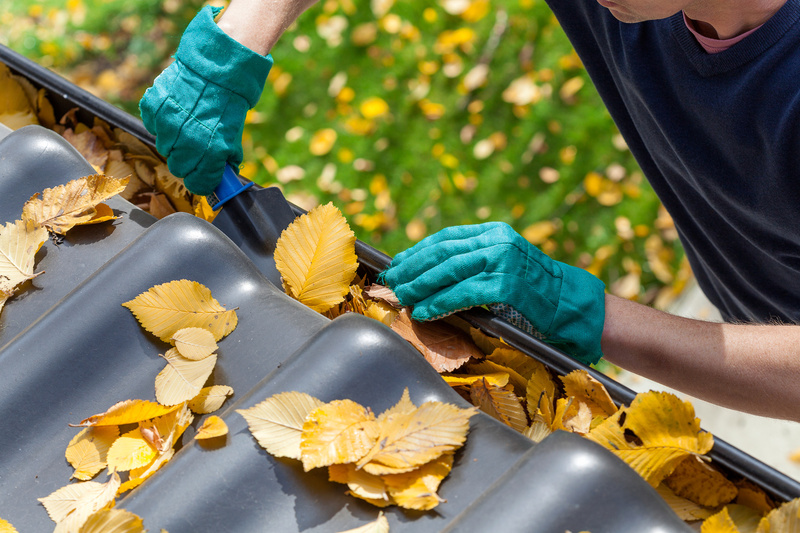 The home’s gutter system should be kept clean of debris so that the flow of water remains unblocked. 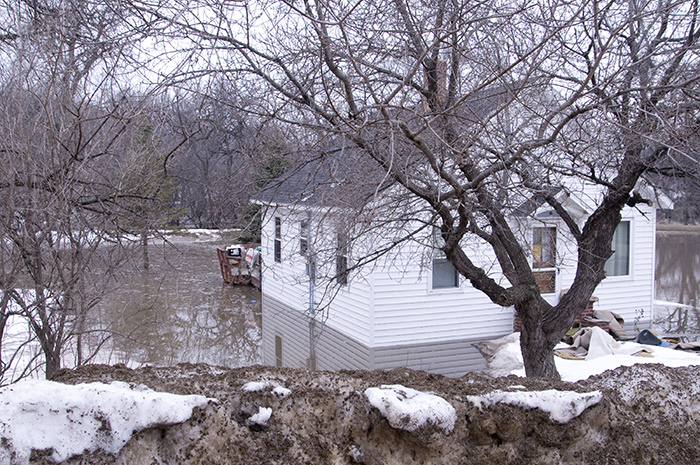 Blocks in the gutter can lead water down the home’s siding and into the interior of the home. Mold problems can result. Also ensure the downspouts are clean and guide water away from the home’s foundation. Downspout extensions may be added to direct rainwater further away from the property. 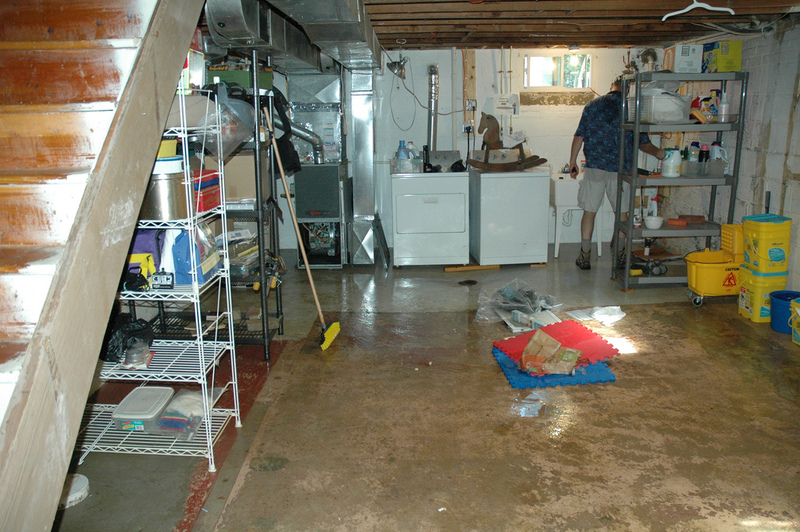 Basement leaks and ensuing mold are possible when excess water pools around the home’s foundation. Despite your efforts with mold prevention, you may be faced with a nasty mold issue. Seek the assistance of a professional mold remediation company, like ServiceMaster Restoration by Complete. Our certified technicians arrive at your home or business quickly to assess and test the mold expanse. A mold remediation plan is quickly developed and implemented to contain the mold spores. If the surfaces from which the mold was removed are damaged, the company’s skilled technicians will repair or replace them. The mold remediation experts at ServiceMaster Restoration by Complete submit their evaluations to and work with the homeowner’s insurance company. 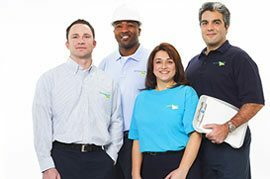 ServiceMaster Restoration by Complete proudly serves the residential and business communities in Newark, New Jersey, and its neighboring communities in Essex County. Mold remediation specialists are available 24 hours a day to respond to calls for any level of mold growth inside your home or business. ServiceMaster Restoration by Complete works with home and business owners to combat winter mold and mold infestation any other time of year.